A business at its core – whether a micro-business or corporation – is a bunch of people working towards a common cause. People are the drivers of business performance, not systems and processes. And performance and development conversations hold the key to accelerating business performance. There are two types of conversations we have in business: task-related and people-related. At least 80% of conversations we have in business are related to the goods and services we produce (task-related conversations). But the key to sustainable productivity is the people-related conversations, which we often by-pass in our quest to get the product or service out the door. This breakfast topic takes a look at the types of conversations that make the difference and why they are important for any business to survive and thrive. The right people-conversations improve productivity, enhance engagement, build trust, improves business practices, and opens up opportunity. And the good news: it won’t cost you anything to implement and will make all the difference. Dr Tim Baker is an international consultant and successful author in the area of performance conversations. 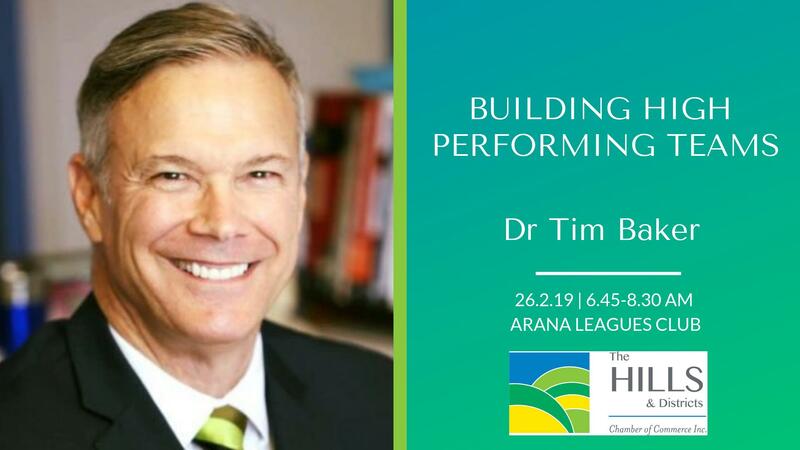 He has written 8 books on the topic and In 2013, Tim was voted one of the 50 Most Talented Global Training & Development Leaders by the World HRD Congress. In a nutshell, Tim has conducted over 2,430 seminars, workshops, keynote addresses and coaching programs to over 45,000 people in 11 countries across 21 industry groups.